| Update 3/27: As confirmed by Mag(see comments) Amazon have contracted out to USPS for Sunday delivery. This article has the details and a discussion. So, I ordered a $9 case for my Rasberry PI Computer. It’s been turning in a useful performance as a backup player for my music streaming system at home. I ordered from Amazon and was surprised when I got the order confirmation, it was going to be delivered on Sunday 3-16. See the graphic. So, I wondered who’d be delivering it, FedEx, UPS, or was it to arrive by drone? It Surely wouldn’t be USPS, since they are even stopping Saturday delivery, aren’t they? I was out Sunday, so I checked only before leaving to drive home, and yes, much to my surprise, the package had been delivered, by, err, USPS. Totally radical Amazon had partnered with, and was paying for USPS Sunday delivery. Awesome. Only when I got home there was not sight of the package. It wasn’t in the mail box, it wasn’t on the doormat, it wasn’t even hidden in the hedge. 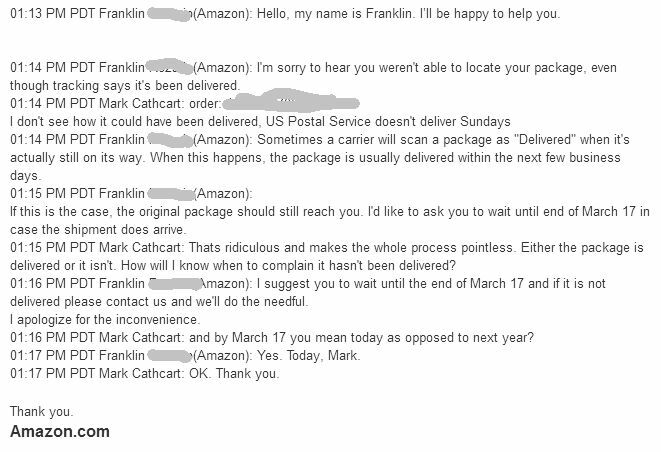 I got Amazon customer service on chat tonight, they deny all knowledge of a Sunday delivery, and blame USPS for declaring it delivered when it was still out of the truck. Well when I got home tonight, it wasn’t here. So this blog entry is for tomorrows Amazon customer rep. who try to blame USPS, Amazon started it by scheduling 2-day delivery for a Sunday, now can I have my case? 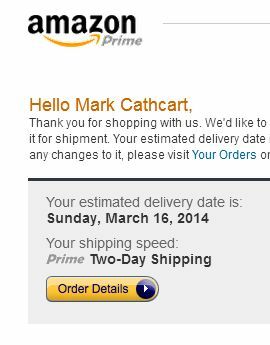 | Update, as of 1:53am today(3/18) Amazon had issued a full refund, so can’t complain about customer service. 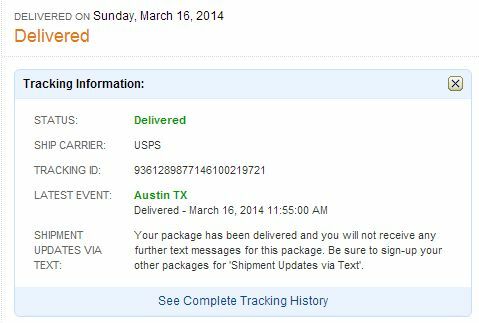 They didn’t deal with the issue of their predicting it would arrive on Sunday, which if contractual with USPS, might well have encouraged it to get lost in delivery and the fabrication of the delivered status. After all, usually with USPS confirmed delivery, USPS actually delivers first and then updates the status, I’ve never seen it the other way around.